FLG Terroir may be located in the middle of a high desert in Arizona but that doesn’t mean we can’t have the freshest oysters. 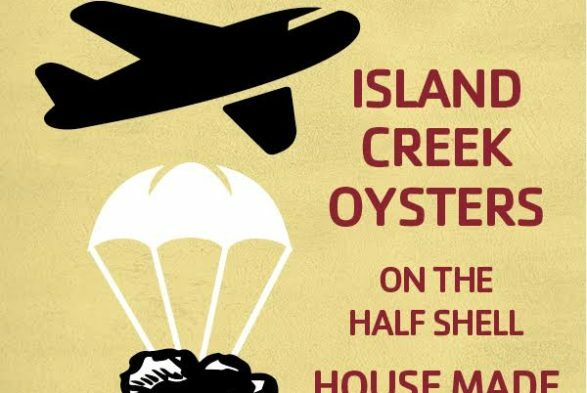 We work with Island Creek Oysters to bring you the freshest oysters. They are a small collective of oyster farmers located in Cape Cod Bay, Massachusetts. How do we get oysters so fresh? We call them and they ship out the freshest oysters for delivery the next day via Fed Ex overnight. We strive to offer two different oysters on the half shell daily. We serve our oysters with two of our house made sauces, a tarragon vinaigrette or mignonette as well as our house made hot sauce. Order a dozen for a special price.